Home » Liveaboard Golden Glow Antares 44i » TOP TEN “At Anchor and Ashore” Mobile Sailing Apps – updated! TOP TEN “At Anchor and Ashore” Mobile Sailing Apps – updated! Golden Glow’s TOP TEN apps for “At Anchor and Ashore” (they work at dock too). Does Uber do Water Taxis too? #10 Uber: Getting a taxi that is not going to overcharge can be a challenge. Uber is now available in 60 counties (Aug 2015). It is nice to know the fare in advance of getting in the car and know that the car will be there. We have found Uber’s cars, on average, to be more reliably clean and the drivers more professional than local “taxi” drivers. if you’re wondering if taxis or Uber is cheaper in your city, check out this comparison done by businessinsider.com. In London, we found door to door uber service at about 42-46 £ cheaper and much easier for us than public transportation. Just for the two of us taking the Heathrow Express to Paddington (before the next part of the travel) cost as much as the uber car the whole way. We had an Uber driver come into the train station in Rome to help us carry our bags to his car! On the other hand, we had two Italian taxi drivers start the fare from where they were when we called them so by the time they picked us up the fare was already 20 euros. At least they did not try to rob us at knife point (kinda kidding). Go Uber! 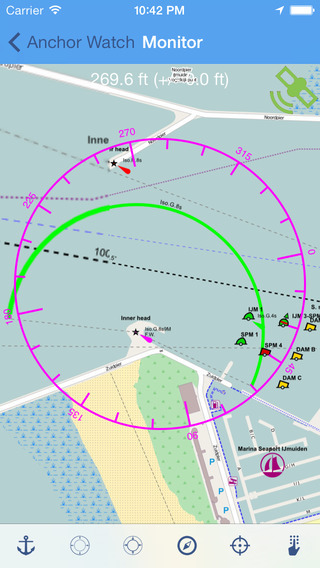 #9 Marine Traffic: provides AIS data on a map. Not as timely as our Vesper Marine boat-based system, or as inclusive as the Max Sea application coupled with the Vesper Marine, but we like Marine Traffic to keep tabs on friends’ boats when we’re not on Golden Glow. The web-based version has a notification system so you can be alerted when someone in your ‘fleet’ arrives or departs a port. That’s cool for keeping tabs on friends as they sail the seven seas and to know if they are anywhere near us. #8 Hotel Tonight, Kayak, VRBO-HomeAway Airbnb, Fare Compare Maps, Travel Zoo: These are a bit on the traditional side, but we use them a lot as we move around. Hotel Tonight is sometimes not better than using the rates on tripadvisor we’ve noriced, but still worth checking. Airbnb recently gave us a whole flat in London for about 2/3 the price of the cheapest hotel tonight choice. We also find Airbnb, homeaway and VRBO very reliable if you stay somewhere with reviews you can read. We wouldn’t stay anywhere that hadn’t been reviewed at all, or where reviews were unfavorable. Kayak, fare compare maps and travelzoo do a good job of getting us reasonable rates on air travel, car rentals and hotels. If we just want to go somewhere, FareCompare Maps offers a map with best prices to anywhere it is watching. Example: we once flew from California to Argentina for $348 round trip. These apps are also great to share with people joining us, as excellent resources to finding good airfare and searching out hotel options in case we don’t get to where we’re meeting them before their plane does. This hasn’t happened yet, but weather can delay the best intended plans. Hopper has become our go-to resource for booking air travel. 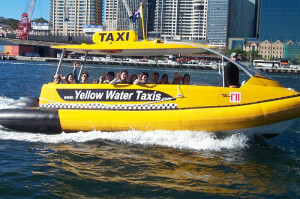 It vastly surpasses our old favorite’s farecompare or Kayaks’s +/- 2 day snapshot of comparable fares. Not only does Hopper show a calendar of several months comparable fares for flights, once you select dates, it also has a very handy watch service that will alert you when your intended flight goes up or down in price, or when a price change is imminent. And it tells you if now is the best time to book, or if you should wait, and when the fares are likely to change. You just enter the departure and arrival cities and let the app do its work. Hopper has saved us a lot of money when our travel dates are flexible and we highly recommend it! #7 Cruisers Forum: this sailors’ app gives mobile formatted access to that best of breed sailors forum: Cruisers Forum. No surprises here. For those of you not familiar with CF, if you have a question on something nautical, there is most likely a discussion there to provide a wealth of helpful information. If you can’t find the answer, then it’s easy enough to ask your question and watch the wisdom (and some less than wisdom) gush forth. #6 Active Captain: Excellent shore side and coastal information. This app actually has several off-line versions that seems to work pretty well, so it could have been in the “underway” list, but we ran out of room there, so it is here. We have Active Captain integrated into our MaxSea TimeZero Explorer system that integrates into our Furuno system. The deep coverage on this app is not really world wide yet, but closer to the USA it is a wealth of information. Active Captain recently surveyed its users and is making itself even better in response to the feedback they received. We applaud that. #5 Anchor Watch: Like having a gnome on your boat tell you about drag. If you anchor regularly you are bound to have a time when you have to leave the boat but are not ‘in love’ with your anchoring. As we are traveling, almost every anchorage is in a place we have not been before. Be it no visibility to the 100′ deep volcanic rock bottom, dense grass or extremely high winds, or if you ran late and are arriving after dark into a very crowded ‘hole’. If you must go ashore (for us normally to find a bar that has wireless), then Anchor Watch can relieve some stress. This app is like most anchor alarms, but has the ability to call, text, and email you with a specific info on potential anchor drags: now that’s a smart gnome! The app allows you to enter in anchor position with touch, lat long, bearing distance from boat, or selection on a map. All you need to do is leave one phone on board, plugged into a charger, and bring another phone with you to get the calls/texts. Yachting Magazine calls this “probably the best dollar you have ever spent.” Who knew gnomes were so cheap. Now you might just have time for another glass of wine with that wifi. 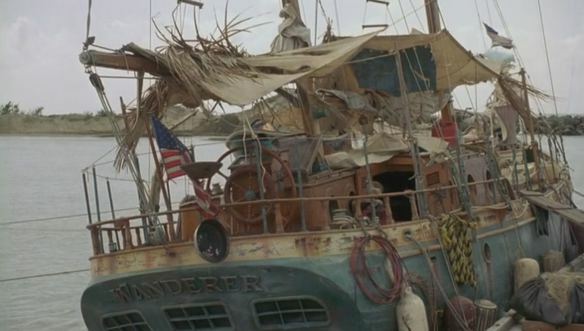 Captain Ron’s Formosa 51′ “Wanderer”. Was this the charter you were expecting? #2 Google Earth (even google maps): When exploring by foot or bike it can be nice to just wander, but as the day gets long and your dogs start to bark, it is sometimes nice to go straight to the boat. Google maps has helped us many times. These sailing apps are wonderful for checking out coastlines and looking for cool places to explore. Be it land or sea, Google Earth is a great tool for exposing our little blue planet. If you scan a coastline with the satellite imagery you can get a feel for islands, beaches, resorts, lakes, waterfalls even can see underwater details in areas where the water is clear. 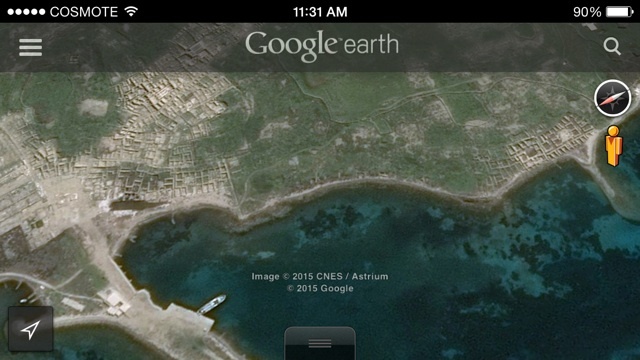 NOTE: you do not want to use google earth as a navigation tool, as the images are always dated, but the images can give some useful insights like sand, coral, wrecks and the like. View of bay near ruins of Delos Greece where Apollo was born. You can see some bottom detail showing general view of more sandy areas and reefs. #1 You tell Us, okay! So, that was not what you were expecting. But we would love to know what is your favorite at anchor/ashore mobile sailing app? Share suggestions in the comments. For those of you who still insist on our #1, here is a temporary placeholder: #1 Top Ten Sailing App for anchor and ashore is the ipad app that controls the luxury yacht Adastra shown at the top of this post. If you buy the app for $14.5 million, they throw in the boat for free. What a deal! Our Newest Toy Makes Taking 360 Degree Photos & Videos Easy!